Darren Curnoe in a scene from the Electric Pictures documentary ‘Engima Man: A Stone Age Mystery’ (Image courtesy Electric Pictures). 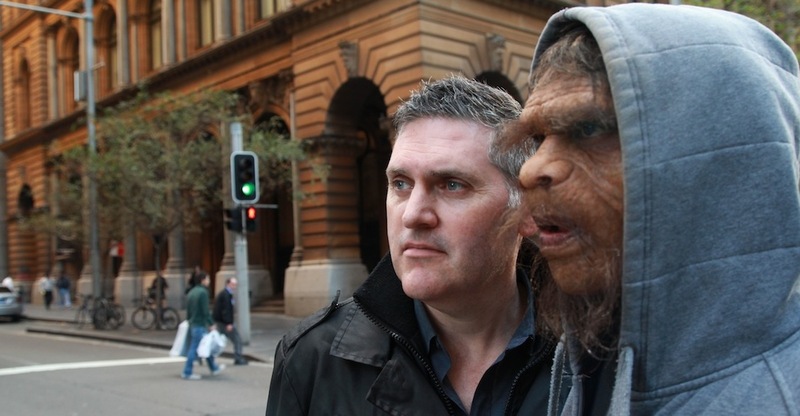 Darren Curnoe is an anthropologist specialising in the study of human evolution, a former journalist and science communicator, who works across diverse platforms to reach a wide public audience. He describes his interest in human evolution as being founded in “an insatiable curiosity for understanding the kind of creature we are and how we came to be this way”. Darren also believes passionately that science isn’t complete until it has been communicated to the wider community; the real stakeholders in science. Therefore, he has made writing, broadcasting and making films about science, especially human origins and prehistory, a major focus of his career. This site showcases Darren’s science writing and short films undertaken since 2014. These include writing for The Conversation, ABC Science on-line, Cosmos magazine and Australasian Science magazine, as well as several short films including the series ‘How Did We Get Here?’ made for UNSWTV in 2015-2016. He is currently a columnist for The Conversation and Cosmos. Darren trained in palaeoanthropology (the study of ‘ancient humans’), archeology, geology and biology at the Australian National University. He received his PhD in 2000, under the supervision of the late Alan Thorne, and then completed a postdoctoral research fellowship with the late Phillip Tobias at the University of the Witwatersrand (2002). He has worked at the University of New South Wales (UNSW) Sydney since late 2002, first in the Faculty of Medicine (2002-2008) and then in the Faculty of Science (since 2009), and currently holds the position of Associate Professor of Paleoanthropology. He is a Chief Investigator and co-leader of the Education and Engagement Program in the Australian Research Council Centre of Excellence for Australian Biodiversity and Heritage (CABAH) at UNSW. Darren is also an Honorary Professor in the Yunnan Institute for Cultural Relics and Archaeology and Southeast Asia Archaeology Research Centre (Kunming, China). View Darren’s Google Scholar, UNSW Research Gateway, ORCID ID and Academia.edu profiles for a list of many of his scientific articles, downloads, and some metrics showing the impact of his research.